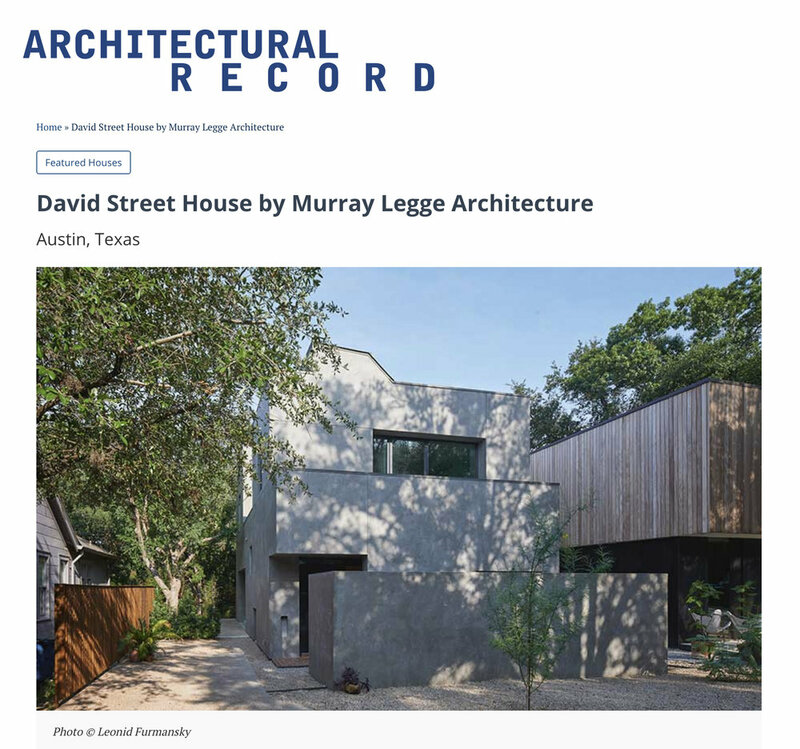 Our David Street House has been feature on Architectural Record. Students spend a lot of time moving between classes. The stairs and hallways, they move through are important spaces. 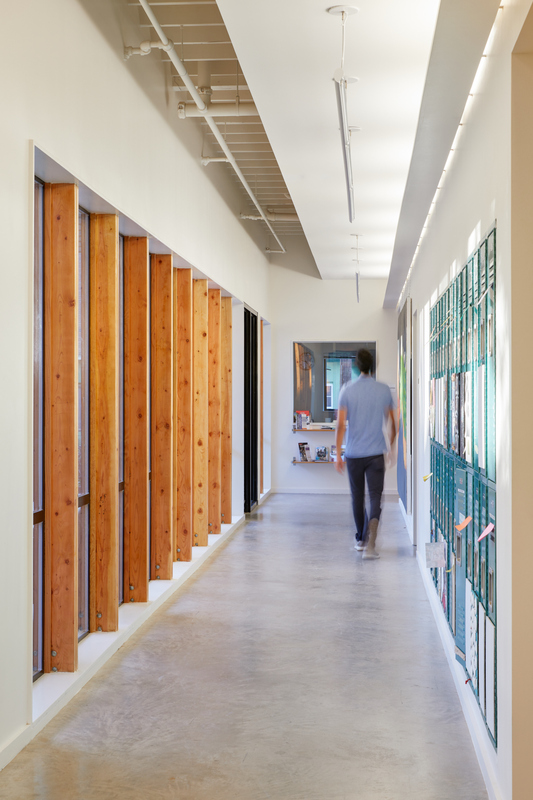 At the Griffin School the two hallways are vibrant functional social spaces. Read more about the school here. The hallway contains exhibition space for the student’s artwork as well as the lockers. Acoustics are controlled by a layered ceiling system that contains concealed acoustic insulation and lighting while also concealing the supply air diffusers. On the first floor the hallway is single-loaded, meaning the functional spaces the hallway serves, like classrooms, are on one side. The other side is a window wall built from exposed Douglas Fir wood studs which looks out on the outdoor courtyard and porch area. The large shaded south facing windows connect the hallway with the outdoor space and bring in abundant natural light. On the second floor the hallway widens to become a student lounge and informal work area. 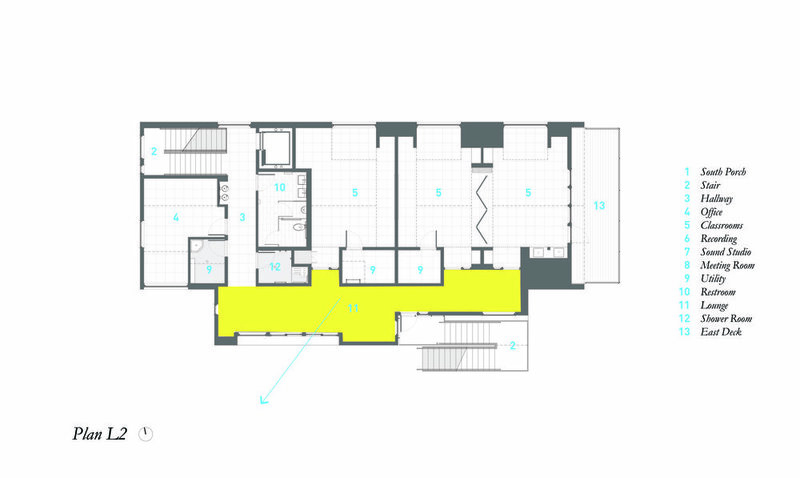 The second floor lounge area overhangs the south facing courtyard creating a porch space on the first floor next to the hallway shading both the porch area and the large hallway windows. A deep recessed operable window in the 2nd floor lounge allows views out across the neighborhood and into the trees. SAFE Alliance recently celebrated the expansion of Eloise House, a facility that provides forensic exams to survivors of sexual assault. We were honored to have been involved in the project having donated our design and construction administration services. Eastside Lumber made a generous donation of framing material and James Hardie Company donated siding material. The completed project can be found here on our web site. Since the program’s inception in 2015, forensic nursing and sexual assault advocacy teams have responded to more than 2,000 visits from sexual assault survivors in Central Texas. With the overwhelming number of visits, the community need to expand was clear. The expansion of Eloise House forensic clinic provides two additional exam rooms, an additional restroom, and a shower. 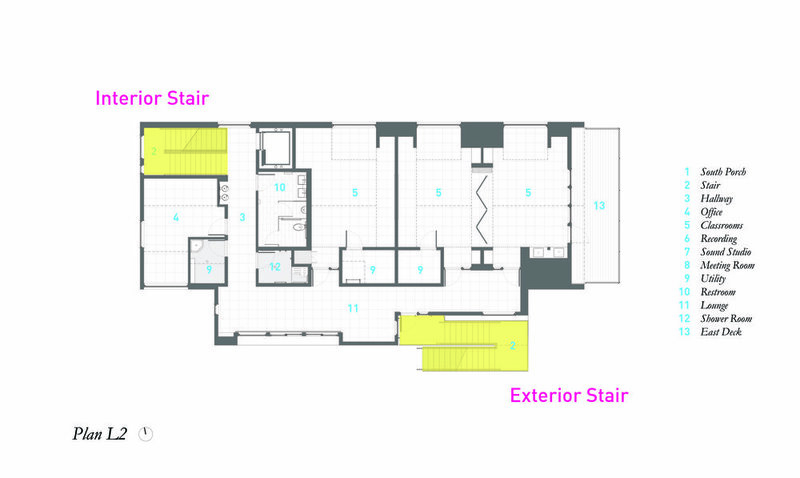 The section diagram shows how long high clerestory windows bring natural light into the small spaces while offering views of the sky and and surrounding trees. The high windows, while offering views and natural light make the spaces feel private and protected. Students spend a lot of time moving between classes. The stairs and hallways they move through are important spaces. At the Griffin School there are two stairs connecting floors, one interior and the other exterior, placed at opposite ends of the building. The exterior stair ascends between the new building and the central courtyard space. From this conspicuous location the stair connects the central courtyard with the second-floor lounge. Students moving up and down the stair can interact with the people in the courtyard. The stair becomes a platform and extension of the outdoor space and a part of the courtyard experience. As you pass next to an old Mesquite tree from the landing you can also catch a glimpse of birds nesting in the tree branches. The interior stair, located at the opposite corner of the building, takes its shape from the steeply pitched school building roof. 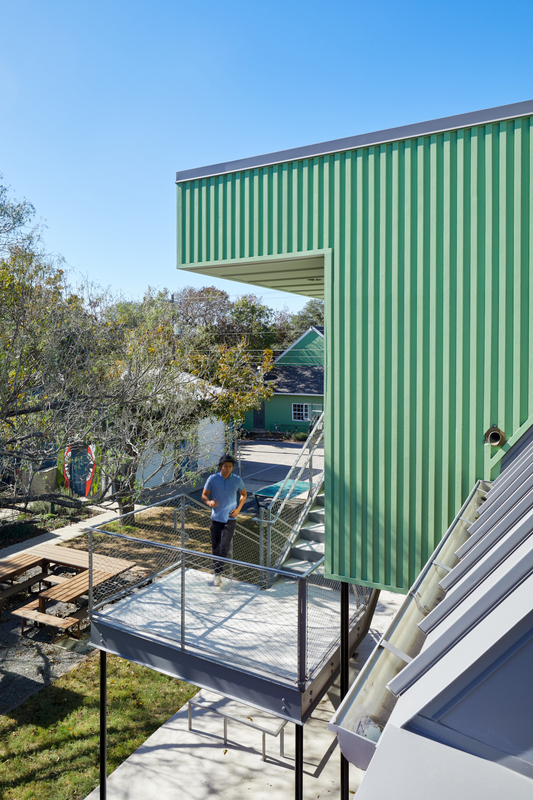 This dramatic roof shape is revealed above you when you walk up the stair from the first floor. The second-floor ceiling follows the roof slope creating, momentarily, a theatrical experience for students and staff moving between floors. A small west facing window allows for a punch of western sun light to illuminate the space. 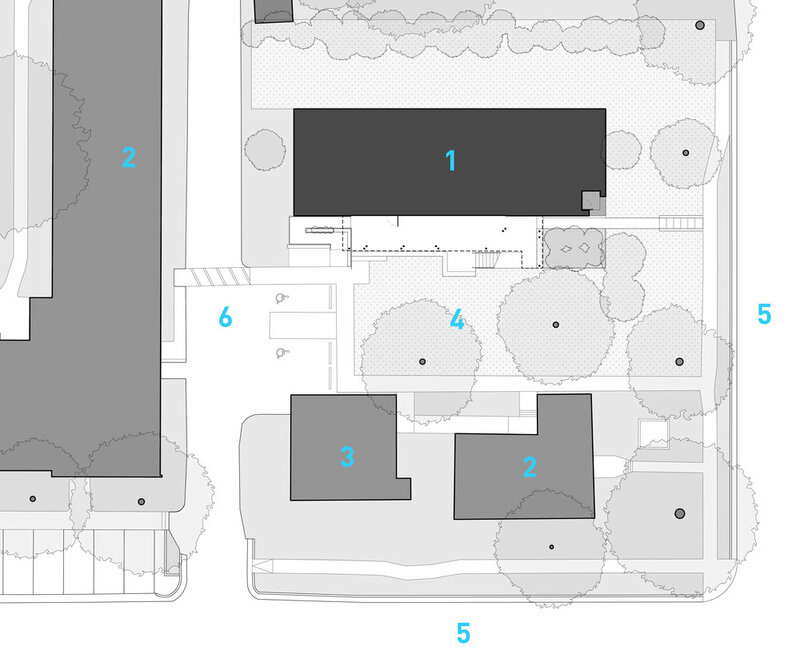 There are many considerations when site planning for schools. Forming useful outdoor spaces, especially in a southern climate when the outdoors can be used most of the year, is important. Students spend much of their time moving between classes. 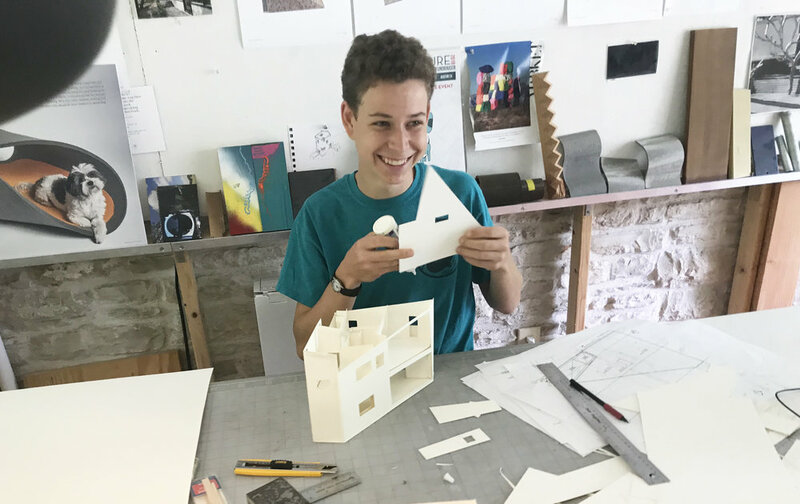 The spaces they move through are important for social interaction and can be developed as lounges, spaces for events and informal educational spaces. 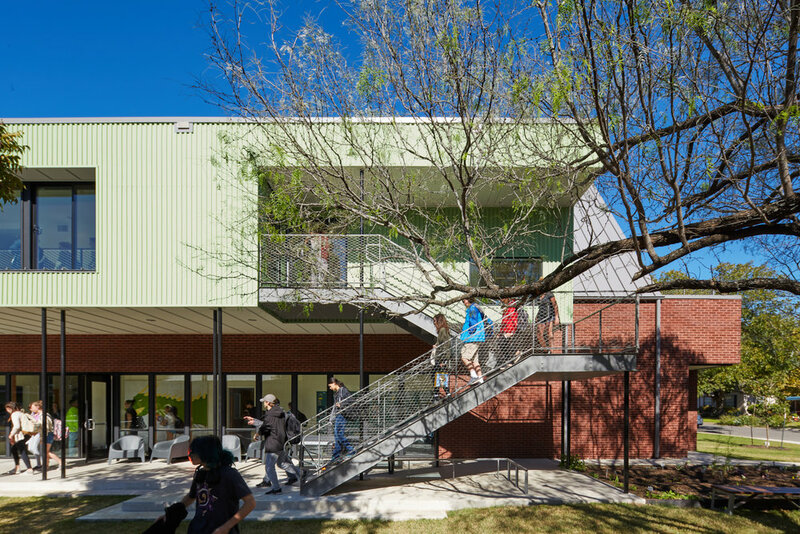 With our Griffin School project, a high school in central Austin, we added a new building to the existing campus. In designing the space we work closely with our consultants landscape architects Studio Balcones and our civil engineers Civilitude. The new south facing building frames a central courtyard space. This courtyard is a vibrant common space that the students move through between classes. The space also functions for recreation, informal classes and school events. 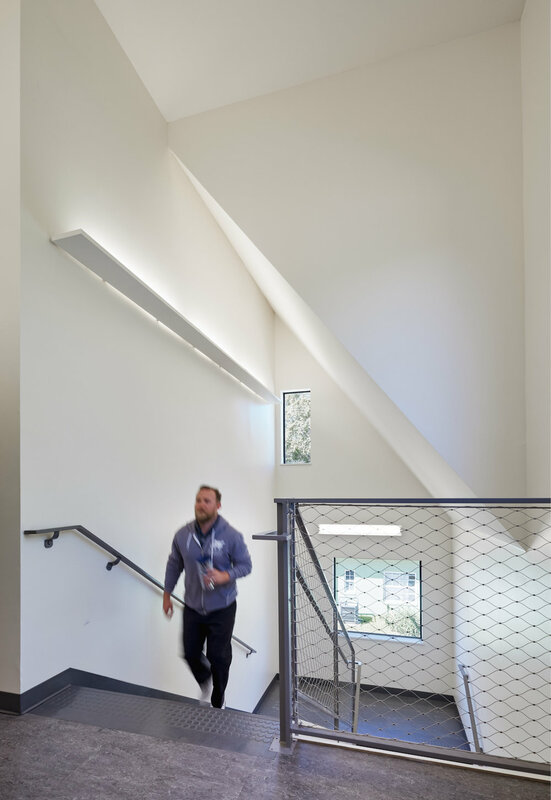 We placed the central stair to the 2nd floor classrooms on the exterior next to the courtyard space so that it would interact with the space. It’s also used as an informal podium onto the courtyard. Our La Grange Pavilion project has been nominated for American Building of the Year by World Architects. 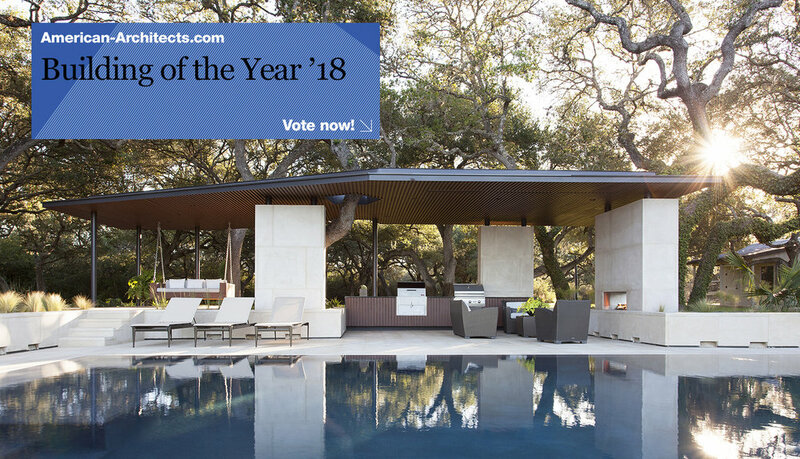 Check out and vote for your favorite project here. 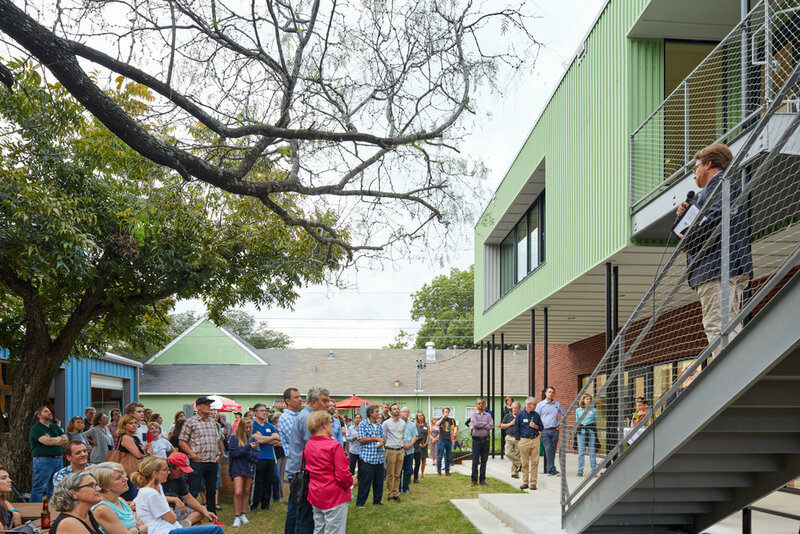 Including great projects by our Austin friends Specht Architects and Mell Lawrence Architects.